The best time to buy an air conditioner is the offseason when demand is at its lowest. So, when is that exactly? It depends on whether you're shopping for window units or a central air conditioning system. Here's the scoop. 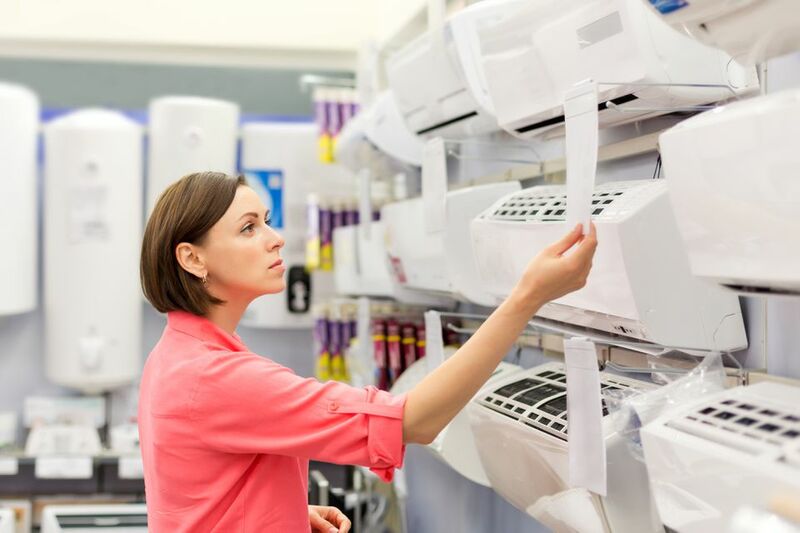 Demand for air conditioners is at its lowest in the cooler months, so retailers often find themselves overstocked with window units. To encourage shoppers to buy, appliance stores routinely offer discounts to lure customers into buying during the offseason. Purchase last year's floor model, and you may save even more. Prefer to shop online? Expect online retailers to offer similar savings. No one wants to pay to store items that aren't selling. If you're shopping for a new central air conditioning system, you'll often get a better deal if you make your purchase in the fall or spring. HVAC installers tend to be busiest in the winter and summer months when the outdoor temperatures are at their most extreme. Avoid these busy times, and you'll have more bargaining power. Ask for a better price, or a freebie (like a nicer thermostat), and you just may get it. When it comes to negotiating the installation cost, it helps to let contractors know that you're accepting multiple bids. This will encourage them to give you their most competitive price right out of the gate. A key cost consideration in purchasing a new cooling system for your home is whether to buy individual units for each room that needs air conditioning or to install a central air conditioning system for your entire home. Individual window units are cheaper, even if you need to purchase a few of them. Renters, especially, will be drawn to the lower cost of window units. However, if you own your home and have a forced-air furnace and existing ductwork, the installation cost may be outweighed in the coming years by the savings you'll achieve by using a thermostat to control the temperature. In addition to purchasing a best-priced unit and selecting the correct size, there are other ways to save money and maintain a cool, comfortable temperature in your home. First, during warm months, keep shades and curtains drawn on sunny days, thereby preventing additional heat from entering your home. Also, when not in use, fans in bathroom and kitchen areas should be turned off. Otherwise, they'll pull cool air out of the house. Another easy way to save money in powering your units is to set the desired temperature just a bit higher than you're accustomed. Even a few degrees can save you quite a bit on your monthly power bill. It's important to make sure your air conditioner filters are cleaned or replaced regularly. Ceiling fans can be a relatively inexpensive way to make the most of the cool air emanating from your air conditioner, as they do an excellent job of circulating air. Lastly, look for air conditioners with the Energy Star symbol. This voluntary program allows manufacturers to identify units that are the most energy efficient.